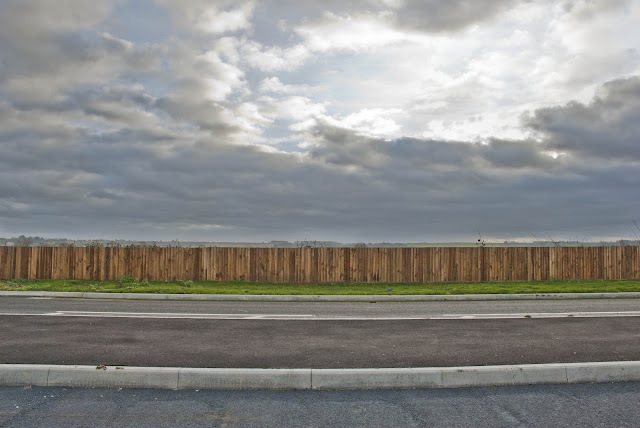 The southern-most limit of Swindon's development, marked by the garden-style wooden fence at Wichelstowe. Click on the image for a closer look. On a map, plan, or diagram, the border of properties, jurisdictions, and contracts are defined with confident lines, filled with certainty. Capturing these lines, the exact point where one thing ends and another begins, through photographs, creates a tension and uncertainty. Blackhorse Way runs out of road and dissolves into the fields of Wichelstowe. Click on the image for a closer look. 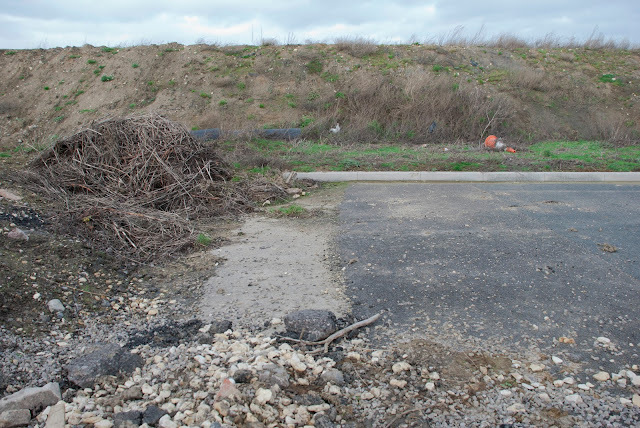 Taken at the current northern and southern limits of development in Swindon, these images show the purgatory where boundaries exist within the landscape, contrasting with our expectations and plans. More images from this project can be seen on Flickr, click here.